Let me present a hypothetical situation. We have an optometrist who has been in practice more than five years but less than thirty years. It is a traditional private practice that grosses about $500,000 per year and nets about 30% of that gross. The OD works 40 hours per week and she has a staff of three full time and one part time employees. All is well enough, but the doctor feels like she works very hard and does not have a lot to show for it. There is a fair amount of stress. The practice has grown very slowly over the past few years, in spite of the doctor trying many marketing strategies and participating with most vision plans and medical insurance. This is a bright, personable doctor who provides great service and truly gets the importance of patient satisfaction. What can she do to break out of mediocrity? That description above actually covers a huge number of optometric practices in the United States today – maybe close to 50%. While the ideas that could create growth in this practice are many, I like to think big so let's focus on a strategy that can lead to big results: opening a second office. In some cases, the population and demographics of a market area are simply not sufficient to sustain a large practice. There may be a huge population, but there are also a huge number of eye care professionals (ECPs) as well. Or, there may be relatively few ECPs, but the market area is slightly rural and there are just not enough people to keep everyone as busy as they need to be. If we look at this doctor's $500,000 practice, she may only see about 1,400 patients per year, which is about 28 patients per week, which is only about five or six per day. 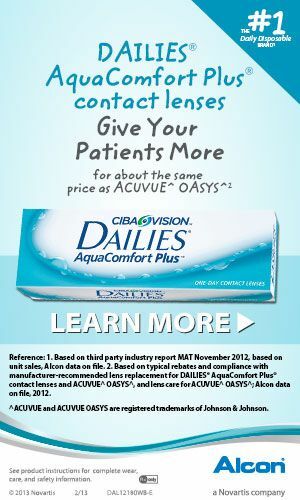 In today's eye care economy, that is not a full time practice. With moderate staff support, the OD could see that number of patients in three half days per week. When looked at that way, it seems like a waste of valuable skill for this doctor to put 40 hours per week into this practice. If the practice is growing rapidly, as often happens with a new cold start practice, the situation is different, and having the doctor present full time may provide the leadership that is needed to keep it growing. But in this example, the practice is not growing much in spite of considerable effort. A very reasonable strategy for growth in this situation is to open another office. The new office location would be selected in a different market from the first office, but close enough where the doctor (and maybe some staff) can drive between them. The new location might be in an upcoming area with lots of growth and good median household incomes. The doctor would divide her time between both offices. She would incur many new expenses in rent, staff, equipment and overhead cost, but the plan is for the increased patient demand in this new market to quickly offset those costs and provide a profit. The vision is that the doctor can generate the same profit as before in office #1 and at some future point do the same in office #2. She is still working 40 hours per week, but her income will double; or could possibly more than double. A venture such as opening a second office requires careful planning, which I won't go into here, but you would need a business plan. It is basically like opening a practice cold, except there is one major advantage: the doctor already has a successful practice. The business process is already in place. All one has to do is repeat what exists in the first office. Maybe some things can even be done better, but all that experience will be very valuable. There is a starvation period in a new start-up. It should be projected in the business plan and there should be enough capital to cover operating expenses until the break-even point is reached. The break-even point is when the revenue from patient care equals the monthly office expense, but there is no salary yet for the doctor. Some new offices reach that in the first year; some may take two or three. Everything beyond the break-even point is income for the doctor. Many ODs do not follow the path of opening a second office because it seems too expensive and too risky. They may view the first office as not as successful as they had hoped and not want the extra work of another office. That really depends on your entrepreneurial spirit, but I don't see it that way. I see the first office as an extremely successful two day per week practice. And with the marketing power of a second office (and maybe a third one eventually), all the offices could grow significantly. A new office can be opened in a grand fashion with the hope of attracting tons of upscale business, or it can be more modest: nice decor, but not overly expensive. That decision depends on market factors, but I favor the latter. I favor seeing the business move past the break-even point very quickly and keeping start-up costs in check fosters that. I like to view the start-up costs in two categories: Up-front cost (like the office build out and some equipment and furnishings) and ongoing monthly expense (like rent and staff salaries). The up-front cost could easily be under $100,000, especially if equipment is leased. The monthly expense could be quite reasonable and could be covered by patient revenues by the six month point. It does not seem very risky to me. The public perception of this two-location practice is far different than the initial scenario I presented. The organization just expanded! It must be highly successful! There is an opportunity for a big marketing splash for the new location, and any ads or announcements will always feature both locations. The doctor will be busier immediately, because the existing patients will have to be seen in fewer days, but that creates an even bigger image of success. The doctor and staff even feel differently about the practice. They think of themselves as successful and that makes all the difference.